Why it matters: The AP notes that this is "an unprecedented war chest for an incumbent president this early in a campaign," especially with the Republican National Committee also raising $45.8 million in the first quarter — bringing the pro-Trump effort's total cash on hand to $82 million. 99% of donations were $200 or less, with an average contribution of $34.26. The big picture: The massive haul can be attributed largely to the fact that Trump launched his re-election campaign just hours after his inauguration. At this point in the 2012 campaign, President Obama had just $2 million in cash on hand. 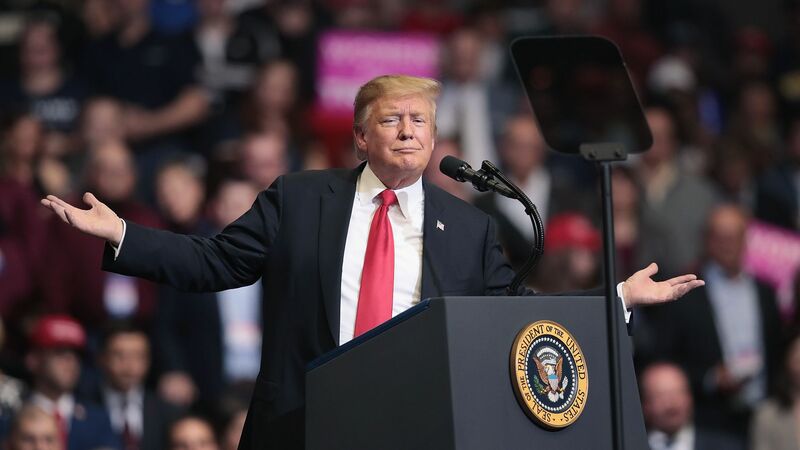 Trump's first quarter fundraising total is more than the top two Democratic candidates combined, though not all of them have released their figures yet ahead of the April 15 reporting deadline. Sen. Bernie Sanders raised $18.2 million in the first quarter of 2019, while Beto O'Rourke raised $9.4 million.